The Chancellor has been personally blamed for the party’s misfortunes and poor opinion poll ratings, with senior figures warning that change is needed ahead of the general election. There are renewed calls for Mr Osborne to give up his role coordinating the party’s campaigning, as fears mount of disastrous results in May’s English local elections. Some critics are demanding that he should be replaced as Chancellor by William Hague, the Foreign Secretary. Such a move would be a dramatic shift for the Prime Minister, as Mr Osborne is his closest political ally. Concerns centre on what is perceived to be his failure to understand the middle classes, their values, and their economic struggle. White Guilt won’t solve anything. Neither will White Denial. Trying to figure out where one sits on that spectrum is a distinct privilege for white people, like me. People of color don’t have those moments of luxury, those moments when they get to pause and wonder about all the complexities of a social and political system designed to favor white people and white communities. You know when you’re in a bookstore, browsing, and you get sucked in by picking up a title in the bargain bin? How about when you have grand intentions of bettering yourself and pick up a pile o’ classics only to watch them collect dust on your shelves? We’ve all got the shelf of shame. And the ladies at the Broke and the Bookish? They want us to own up to it. 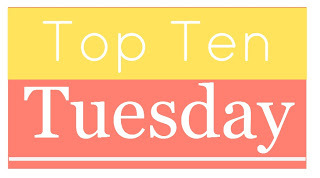 Today’s Top Ten Tuesday: Stuff I Bought But Never Read. “It is the most shattering experience of a young man’s life when one morning he awakes, and, quite reasonably, says to himself: ‘I will never play the Dane.’” Uncle Monty’s words in Withnail & I are delivered with unforgettable pathos and wit by Richard Griffiths, who died on Thursday. They refer to the disappointment etched into the destiny of almost every actor. But they ring no less true in the ranks of the political class. When Boris Johnson finally admitted to Michael Cockerell in last Monday’s BBC documentary, that “if the ball came loose from the back of the scrum” he’d quite like to be prime minister, he was simply being candid about the political psyche. There is a part of every new MP that believes he will one day occupy No 10: Hamlet in the lethal Elsinore that is Westminster. For once, I remembered to put the clocks forward. But somehow, it still doesn’t feel like clocks-forward weather. We’ve had some tremendously high winds over the last two days. It is my habit when urinating here to go outside in the garden unless the weather is especially inclement. Not only does one save around four gallons per day of water by doing this – in time, water will become our most valued resource – I also get a tremendous sense of independence from walking onto grass and weeing where the mood takes me.